Added greens into my dishes, it tastes much better and not that much added work. Weight 157lbs, didn’t move up due to travel to Singapore for 1 week. I brought my Magic Bullet and a weeks worth of shakes to make overseas only to have my electrical transformer blow up on me. Instead of risking blowing up my Magic Bullet, I decided to skip my morning shakes. Solution for next time, find right electrical output transformers in preparation for foreign travel. 157lbs but still on track. Not surprising I went down. Friends were in town for a Bachelor’s party and you know how that goes. No sleep and lots of activities for a 3 day period. Not what everyone thinks, it was more sports and board games then anything else. Also calculated that I’m short on my daily macros by 300-400 calories, multiply that by 7 days and there’s my 1lb gain gone. Especially with all the work outs I do. 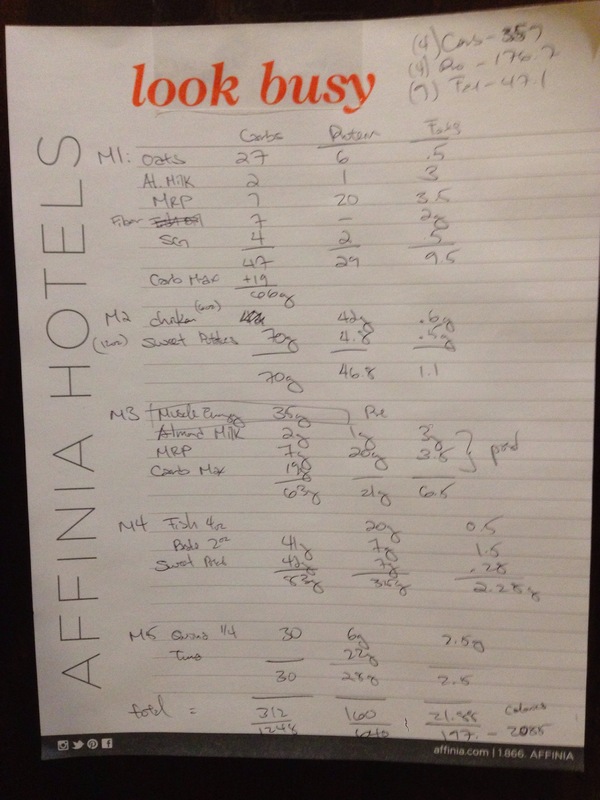 Solution: update my macros chart. Will attach an updated picture, shortly. Currently at 158.2lbs, I’m up 1.7lbs from last week! I have been weighing myself at off times, so the above increase in weight could be due to the fact that it’s a mid-day weigh in. From today on I will weigh myself consistently on Wednesdays at 4pm, my blog update times. So I’ve been recovering from a shoulder strain and decided to do more swimming as recovery. This extra cardio might slow down my weight gain. Weighed myself this morning and I’m up to 156.5, on track for 1lb/wk. Onto next week! 157-158 here I come! So not going to lie, I did not update IIFJM due to much traveling (2 weeks in DC, 1 week in Florida). Because I was off the last couple of weeks I didn’t feel the inspiration to write about the bad weeks. I felt that I’ve done my best but still didn’t get the results I promised to the public and thus felt ashamed to update. I realize in today’s age that you must be transparent. Instead of looking at the failures from my last month, I need to review and make adjustments. I hope everyone can learn from my mistakes as to prevent complete failure on their own. In the beginning of IIFJM I made a promise that I would not be too hard on myself if I fell off the wagon, because #1)I’m human and #2)don’t expect perfection. Prior to the 1 month hiatus, I was up from 155 to 157. During my traveling weeks, I fell back down to 155.6. I lost 2lbs in 1 month. I was doing my best to eat 5 meals/day to hit at least my calorie goal even though my macros would be off, but that never seems to work out. To better prepare for my trip this upcoming month (1 week to Singapore, 1 week to Hawaii….I travel a lot for work) I have decided to PACK everything! The above shake ingredients will give me enough healthy calories for 3 out of my 5 meals while traveling. I typically do 3 non-liquid meals when at home, but for my travels I will have to make an exception to do 3 liquid meals. 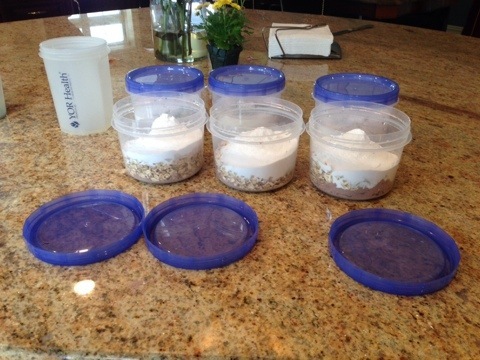 For non traveling dates I’ve also decided to pre-package every single meal for my entire week, even my shakes! I use to cook my food for the week and dump them all into giant containers. Why? Because that’s what I saw my friend initially do. So for 1 full month I was taking food out, plating it, and measuring it on my food scale for every SINGLE meal. It grew tedious and I soon got tired of it. 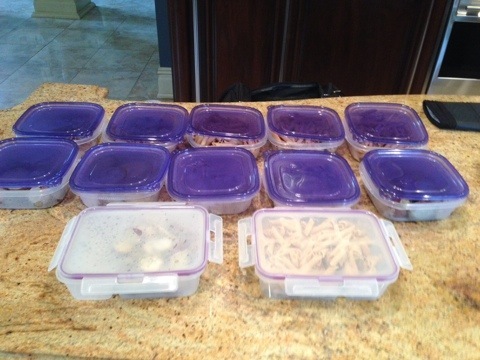 Starting this new cycle, I’ve purchased TUPPERWARE for every meal of every day. I’ll post a picture below of what it looks like. I am now super excited for my week. I’m going to freeze half of my meals and leave half in the fridge for easy access. Tune in next week to check progress and possibly new recipes for meals (it can get boring if you don’t change it up)! So I’ve bought my scale, broken down my macros and on the train to weight gain. Let’s break down my meals for everyone to see. I simply do 72g carbs, 35g protein, 5g fat for 5 times a day. So far I’ve gained 2lbs and feel a lot leaner than before. Wahoo! You can see how much carbs/proteins/fats are in my foods broken down below per line item. 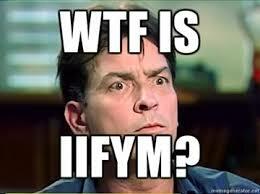 Follow my journey as I attempt to figure out this craziness called IIFYM, aka Macro Dieting. I’m not a bodybuilder. I simply want to bulk up and lean out. I’m currently 155lb, I want to get to 170lb with lean muscle. Started my journey on www.iifym.com. I’m utilizing the moderate level of Macro’s which is 50/30/20. Basically meaning my daily calorie goal consisting from 50% Carbs, 30% Proteins, 20% Fats. Some prefer the 40/40/20 method, which I can convert to if I need better results. From what I’ve read you don’t need to spread out the meals, it can be done within 3 meals, but I typically eat 4-5 anyways, so my breakdown is based on 5 meals. Here’s my numbers for weight gain, remember I’m looking to put on 15lbs. 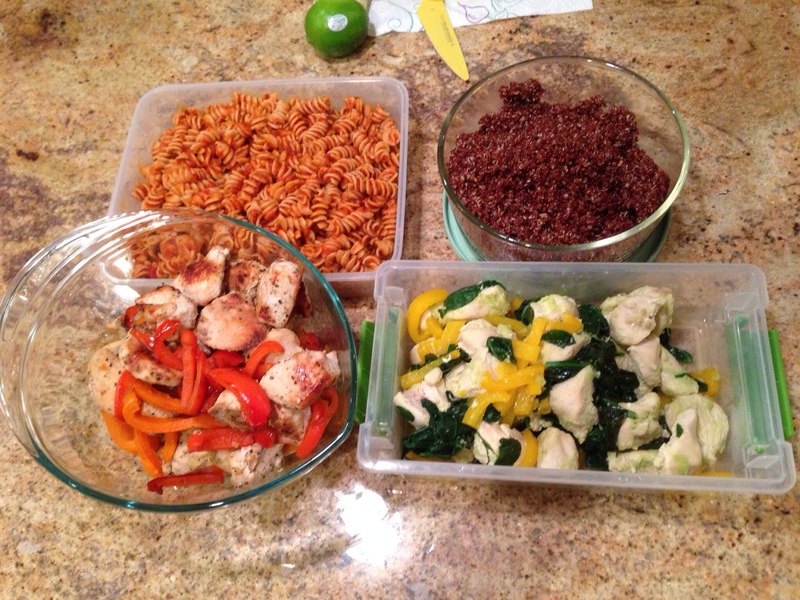 My Macro’s are: Carbs 321.7g, Proteins 193.8g, and Fats 54.3g totaling 2550 calories/day. If you multiply my grams of Carbs by 4, Proteins by 4, Fats by 9, that would equal to 2550 calories, which is my weight gain goal. I’ve previously gained 21lbs from just hitting calorie goals alone, eating everything in sight, but I’m in no way lean. So that’s why I’m turning to IIFYM. Some people use IIFYM so they can eat whatever they want I’m utilizing IIFYM so that I can better measure my foods to eat healthier. Once you start googling foods, you should be able to create a meal plan for yourself no problem. Every website gives different nutrition breakdown of foods, so what I did was just went with the numbers that I saw most (i.e. sweet potatoes 1oz = 6g carbs, 0.4g protein 0.04 fats). I’ll attach a picture on next posts so you can see my actual meal breakdowns.